The LAG "Gościniec of 4 Elements" operates in the four municipalities of the Wadowice county: Kalwaria Zebrzydowska, Lanckorona, Mucharz and Stryszów. It is a transitional area between rural and urban ones with mixed functions because a distance from the capital of region (Lesser Malopolska) - Kraków is about 40 km. There is a lot of small farms with the very small number of farms producing mainly on the market. It has caused problems like very low activity of farmers in the use of EU funds. Other problems are the poor farmers' cooperation with each other and not very attractive sites for investors. Strengths of the area are a large number of agricultural holdings and high entrepreneurship. The opportunities are traditional and ecological products market development and promotion of traditional products by public institutions, also EU funds on organic production. Having regard to the threat of high sanitary requirements for food processing, it is proposed to create a kitchen incubator. a proposed solution in such a scale as in this project. A kitchen incubator is a facility with equipment designed for small processors of agricultural products, caterers or farmers, who can prepare and process their products in a well equipped and prepared for this purpose, in accordance with the health and safety rules. A creation of an incubator kitchen will cause the emergence of new local products from the area of the LAG “Gościniec of 4 Elements” and surroundings and this in turn will contribute to the economic development of the area of the LAG “Gościniec of 4 Elements” based on local resources. Attic - 213,38 m2, of which a conference room is 61,49 m2. The "kitchen" will be equipped in such way which allow to produce fruit and vegetable juices, mainly jams, jellies, dried fruits, bakery products. There will be no facilities for a meat processing. There will be run service activities, including training and advisory in an incubator kitchen. consulting, including the specialized studies prepared by a staff of the incubator and doing special works. Training and consultancy will mainly concern agro-food processing and catering business. It is also planned that the Incubator’s staff will supervise and coordinate a production of several users of the Incubator as special order and to sell some products as its own. There will be undertaken, during the implementation of the project, actions for activization - meetings and training for farmers and other people interested in starting in a own business in the field of the agro-food processing. In addition, it will be offered for customers of the Incubator a help in selling their products. Generally a help in the sale of products will be also offered customers of the incubator in the framework of the implementation of other elements of the project "Malopolska Local Product". 1 ha in the area of the LAG (the official data from the year of 2010). Tourists come to the LAG’s area mainly from Cracow but also from whole Lesser Poland Voivodeship (region) and also the Silesia one. There was at least 32156 tourists in the area of the LAG in the year of 2011, according to the official data. 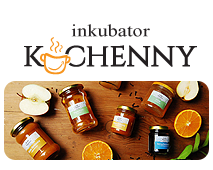 A production of the most of users of the Kitchen Incubator will have a seasonal character – it mainly will be in late spring, summer and early autumn. It will be balanced by the fact that the training activities will take place mainly in the remaining months of the year. Also during this period, it is also a good time for a catering, which associates mostly training activities.